Happy Easter! I baked this Neapolitan Easter bread (Casatiello), published in the New York Times by Yotam Ottolenghi. Basically, it is a yeast bread dough wrapped up with meats, cheeses, herbs and eggs fillings, for the break fast picnic eaten the day after Easter. It was a fun bake since whatever leftovers you had on hand, you can roll them up tightly, like a cinnamon roll. It's easily adaptable to accommodate any filling ingredients. And you won't be getting your fingers all sticky and gooey. There is no glaze on the bread. Just a yummy savory bread packed with all the Easter leftovers. I substituted sprouted wheat flour for all the bread flour in the recipe. (I loaded up when I saw the new King Arthur Flour sprouted flour on sale in the local store.) It was a risky move for me since I've never used 100% sprouted wheat flour in any bread before. But I did gain confidence after I baked Peter Reinhart's sprouted struan bread (87% in sprouted wheat and the rest in corn and rice flour) a few weeks ago. I found the recipe in his latest book, Bread Revolution. Struan bread (not the spouted one) was Reinhart's signature loaf and his top-selling bread at Brother Juniper's Bakery. He put in a struan bread recipe in every one of his books. The sprouted struan bread was outrageously tender and delicious, more than I'd expected. I'm now firmly in the camp of using more sprouted flours in my bread going forward -- in view of its easily digestible benefits. I added a small amount of sourdough starter in the dough, if not for anything else, just to give the bread another layer of flavor. 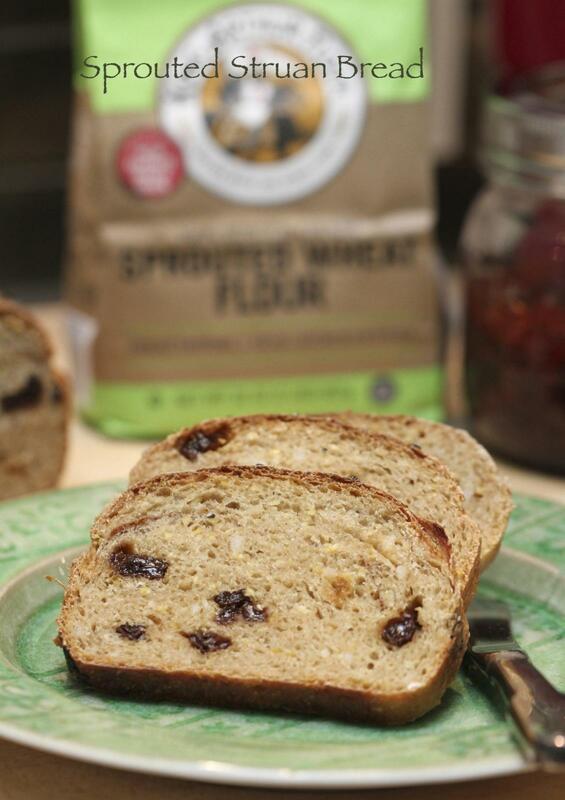 It's a game changer using sprouted flours. No preferments of any kind, no need for high level of hydration and long and extended fermentation, or the addition of high-gluten flour (bread or all-purpose flour) to achieve the desirable crumb texture. 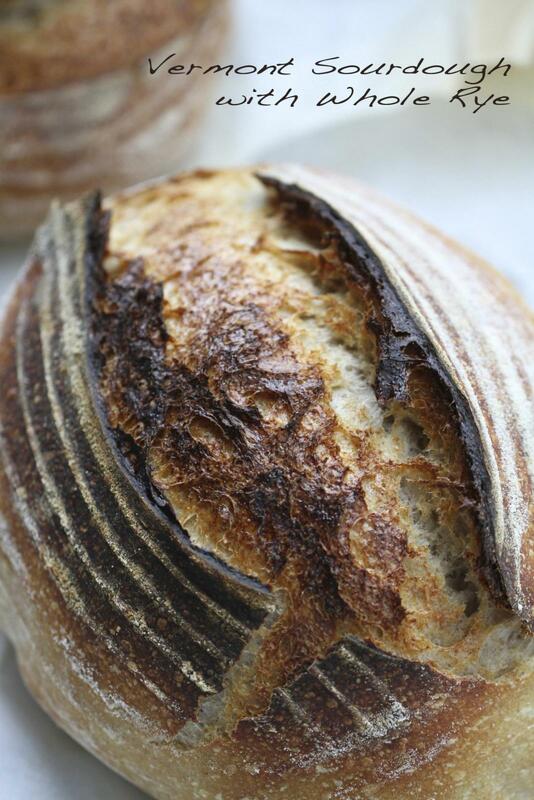 I was floored by how using the sprouted flours alone has changed the usual process of making breads. I'm sure there are ways to make the sprouted bread even better, or I hate to say it, to be more like white bread and its light and open-crumb texture. Similar to the look and feel of the Vermont sourdough bread I bake regularly? Is it possible? What have been your experiences in baking breads using high percentage (90-100%) of sprouted flour (not the sprouted pulp)? With increasing availability of sprouted flours and lower prices, I can see shifting to use more of them and less of the all-purpose or bread flour varieties. Any thoughts?